“Dr. 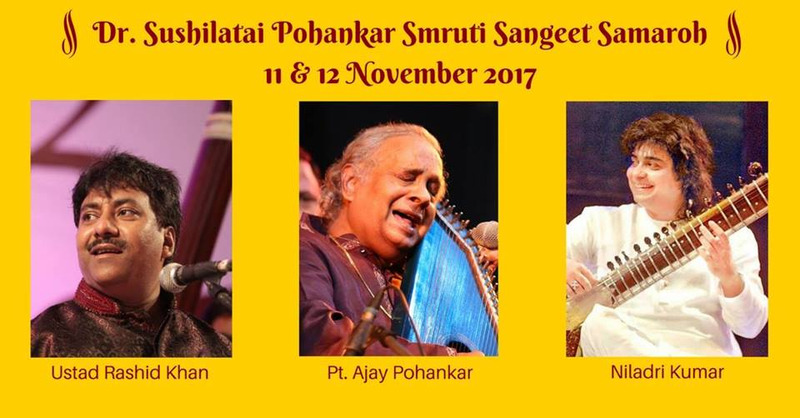 Sushilatai Pohankar Smruti Sangeet Samaroh, 2017” is the festival presented by Pt. Ajay Pohankar Foundation. The festival is held in the memory of the mother and guru of Pt. Ajay Pohankar. This is the 4th year of the festival. This is one of the finest Indian Classical Festivals held in Mumbai every year.